Nursing Shortage? What Nursing Shortage?  Back in 2002, when the Oregon Center for Nursing was first created, there was an evidence-based concern that the nation would be facing a potentially catastrophic shortage of nurses by 2010. When 2010 came around, as one of the only positive outcomes of the Great Recession, this shortage did not come to pass. Now, whenever the topic of nursing shortages in Oregon comes up, sometimes I feel a little bit like Chicken Little. Oregon is facing a shortage of nurses, but since this shortage isn’t reported consistently across the United States or across regions or work settings, it may seem like we are saying the sky is falling. …there seems to be a disconnect. Peter Buerhaus’ 2017 article shared how there will be shortages and surpluses of nurses around the nation, but it’s getting harder and harder to define shortage areas by state lines. If we are to make good policy decisions about health care, and how a high-quality nursing workforce can make Oregonians healthy, we need to look at local trends. What does the Oregon data say? Looking strictly at the numbers, the Oregon Employment Department projects we will need around 2,600 new nurses every year between 2017 and 2027 to replace those leaving due to retirement and growth in the health care industry. In 2018, Oregon nursing programs graduated 1,740 new nurses. That’s another disconnect, but it’s not too bad. Many nurses are moving here from out of state who can fill up the gap. We suspect those nurses tend to migrate to urban areas and work in acute care settings. According to OCN’s recent study of the demand for nurses, we know there are differences in the ability to recruit and retain nurses depending on where you are located or what type of setting you practice. Urban acute care settings are looking for nurses, but it’s easier for them to fill openings than it is for someone practice in a rural acute care setting. Home health, hospice, public health and long-term care settings are seeing major challenges to recruit and retain nurses. So, if you are working in a home health, long-term care, or public health setting anywhere in the state, chances are your organization is experiencing challenges with filling nursing positions. If you are in a rural part of the state, you are probably feeling the lack of nurses even more. Tracking this maldistribution of nurses is tricky and isn’t the same across Oregon. But looking at local data in conjunction with national data will give the clearest picture of how healthy the nursing workforce is in the state. And will help justify when we claim the sky is falling.